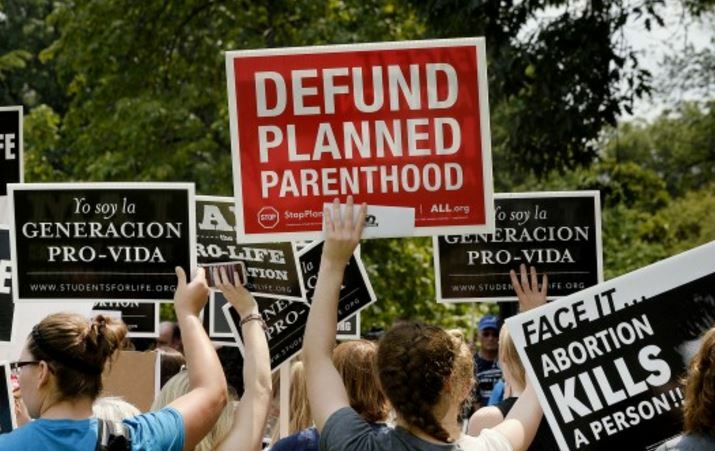 Bill to Defund Planned Parenthood Moving Forward! As we reported to you last week, SF 2 has passed out of the Senate with no weakening amendments. As a reminder, this bill would close off taxpayer funds to facilities that provide abortions here in Iowa. For years we’ve been fighting to end this brutal practice, as Iowans routinely gave between 3 and 5.5 million to Planned Parenthood every year! And while this is of secondary importance to our overarching goal of ending abortion by passed of a Life-at-Conception law — it’s still going to be a long fight! The bill has now been sent to the House Human Resources Committee for further consideration by a sub-committee. We need you to call, email, and message these subcommittee members right away and urge them to move this bill into the full House committee right away — with no weakening amendments. That’s the key, no weakening amendments. After all, it does little good if we pass a bill only after having watered it down to the point of being meaningless. Sadly, we’ve seen that happen time and time again. Please contact these legislators right away and urge them to pass SF2 out of their sub-committee right away, with no weakening amendments. Now is the time to aggressively move to enact prolife legislation! Pro-lifers all over Iowa spoke loudly last fall by removing many committed pro-abort legislators from office for their refusal to support the unborn. And of course, the Des Moines Register and other liberal media outlets across the state are working overtime to try to shame legislators into dropping this bill. That’s why your calls and emails are so vitally important! Please get involved right away! And I hope you’ll also please make a contribution to the work of Iowa Pro-Life Action as we try to mobilize pro-lifers statewide by mail, email, and social media! Whether you can make a major investment in the life of the unborn or $250 or $500 as some have already done, or whether $100, $50 or $25 is more appropriate for you — please just act fast. P.S. Senate File 2, which would end the taxpayer funding of abortion here in Iowa, has been assigned to a House sub-committee. Please contact them right away, using the information listed above, and urge them to move the bill through the sub-committee with no weakening amendments! The pressure is mounting in Des Moines –- so please act fast! When you’re done, please consider supporting the work of Iowa Pro-Life Action with a donation of any amount right away! ← Pro-Life Legislation on the Move in Iowa! Copyright © 2019 Iowa Pro Life Action is a 501(c)(4) Non Profit Organization registered with the Iowa Secretary of State.